258 pages | 18 B/W Illus. 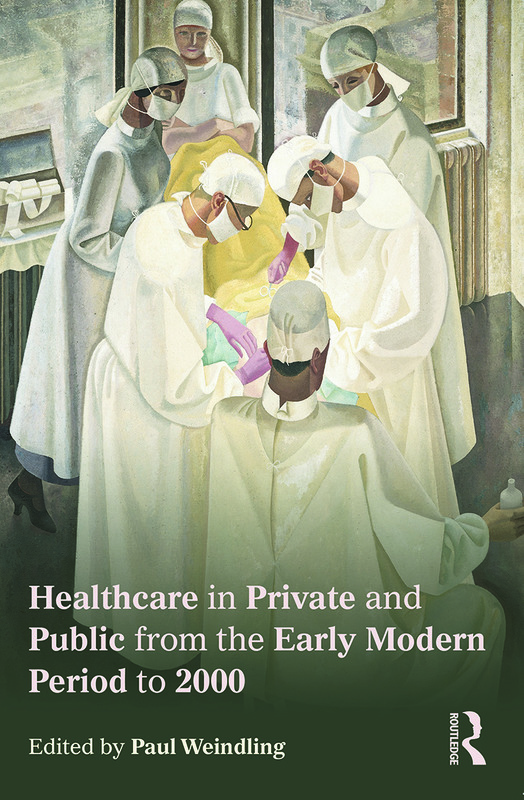 "This rich, engaging, and highly innovative volume places the "mixed economy of health care"—the interplay of public, private, and philanthropic interests in the provision of health care—at the center of health care history. Moving from the 17th century through the late 20th century and traversing Britain, Europe, the U.S., and South Africa, Healthcare in Private and Public from the Early Modern Period to 2000 will be a welcome and refreshing addition to undergraduate syllabi in the history of medicine." "Curated, edited, introduced, and concluded by renowned medical historian Paul Weindling, this volume is a collection of insightful, carefully crafted essays by a group of cutting-edge UK scholars. With a primary emphasis on the UK, North America, and Western Europe, contributors explore what can be characterized as a 'mixed economy of healthcare,' i.e., the interrelationships among governmental, private/philanthropic, and marketplace-driven dynamics of providing populations with health care. Summing Up: Recommended. All readership levels."